I've been following Colosso from the beginning with Max Tomé's (mostly) one-man show on Abrasive Peace. That was a fantastic modern death metal album right out of the gate, and I described it as "adventurous and complex," and release after release, the band has grown both in musicality and in number of members. With the band's second proper full-length, Obnoxious, they've added singer André Macedo. He makes a great fit, and he's got one of those great mid-range scream-growls I love to hear in death metal. But what about the rest of the package? Like Colosso's previous albums, Obnoxious goes by fast. The album clocks in at 36 minutes for 9 songs, and you have to appreciate the band's dedication to keeping it tight. As with their earlier work, Colosso isn't satisfied to just chug-a-chug along, and to avoid that, they add extra texture with different guitar effects, contrasting riffs, and even some judiciously used synths. The variety they pack into the songs helps give them a more expansive feel than a quick glance at the clock might otherwise suggest. Unfortunately, there is a "but" coming here. 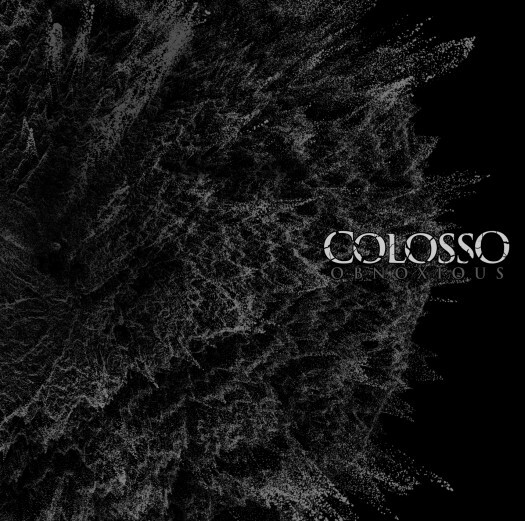 On Colosso's previous work, I praised the band's willingness to let their instrumental work shine through, especially since it was so damn good. Heck, Abrasive Peace was even offered as an instrumental-only download, and you don’t do that with music that’s dependent on a vocalist to hold a listener’s interest. However, I don't think Obnoxious would remain as compelling without Macedo's vocal work. Make no mistake--most of these tracks rip, particularly later album cuts (and my personal favorites) "To Purify" and "Sentience"--but I can't help but feel the band may have sacrificed some of what made their earlier work special for the sake of a more streamlined sound. That said, I'd be willing to bet some listeners won't mind the shift at all. One person's instrumental, semi-proggy goodness is another person's boredom, so a slightly more straightforward approach could gain them a different or even larger audience. And of course, with new personnel just being added, this album may be just a stepping stone to the next stage of Colosso's growth. It's not bad by any means, but I'd be lying if I said I didn't miss some of the boundary pushing the band did on their previous work. I was a little surprised with this album, but pleasantly so. I didn't expect as much synth work as the past few albums have been pretty straightforward, but the contrast works well in this album. I think this is an album that grows, and I wonder if your opinion will change after a few months of letting it simmer. That's always a possibility, especially since I was having trouble articulating precisely what I felt was missing. (Although music doesn't always translate directly to words anyway!) They've definitely had an unusual development arc, so we'll see where they go next.